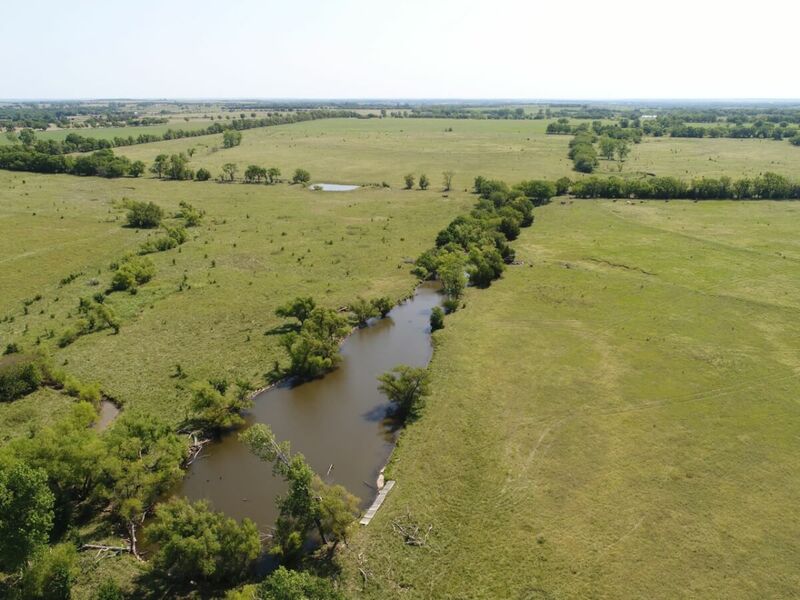 PROPERTY DESCRIPTION: 202+- acres of good pasture, timber, & several ponds including a real nice stocked fishing pond. You will enjoy excellent Largemouth Bass and Bluegill fishing in the stocked pond. Kansas Whitetail Deer are abundant on the property, traveling the hedge rows and draws. The pasture offers both summer grazing on the native and spring/fall grazing on the cool season tame grass. Great opportunity to have a year round cattle operation. A 2 bedroom 1 bath house with 946 square feet on the property has rural water and is currently rented for $350/month. A detached garage, misc. utility building, and livestock pens are also included. Excellent location just south of HWY 400 between Piedmont and Severy. LEGAL DESCRIPTION: The NW/4 Lying South of the Railroad ROW and the E/2 SW/4 & W/2 SE/4 Less Road ROW ALL IN Section 09, Township 28 South, Range 10 East of the 6th PM, Greenwood County, Kansas. LAND LOCATION: From HWY 400 between Piedmont & Severy, South 1 Mile on M Rd to 10th, East 1/4 Mile to the Property (there is also frontage on M Rd).